You Can Be a Visible Part of Springbrook Nature Center! The Springbrook Nature Center Foundation is seeking gifts from the community for its many projects including a new Pavilion Activity Center. Don’t miss your opportunity to be part of Springbrook Nature Center – donate a PAVER, BENCH or TREE today! A Large paver for honoring or recognizing a special person. Paver is 8.25” x 11”. Inscription up to 6 lines, 20 characters/line. All pavers will be installed adjacent to the interpretive center, or another appropriate location. Make a donation to this fund, named for Siah St. Clair. 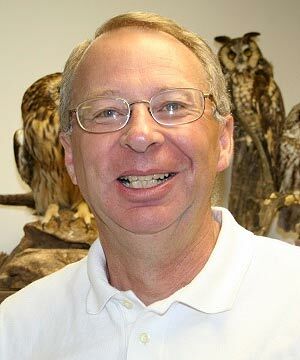 Siah was the Springbrook Nature Center Executive Director for 35 years. This is a dedicated fund, established by the Foundation to name a classroom in the Interpretive Center for Siah. Click to download the Siah St.Clair Fund brochure. 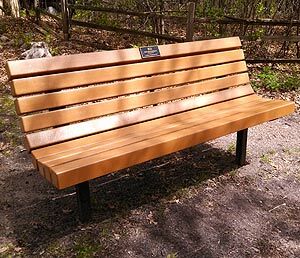 Park benches may also be used to honor a special person or mark a special event. A standard 6 foot bench has been selected. Inscription up to 3 lines, 18 characters/line. Springbrook Nature Center staff will work with you to select the bench location. A small recognition marker will be installed on the bench. A Medium paver for honoring or recognizing a special person. Paver is 5.5” x 11”. Inscription up to 4 lines, 20 characters/line. All pavers will be installed adjacent to the interpretive center, or another appropriate location. A Tribute paver for honoring or recognizing a special person. Paver is 13.75” x 13.75”. Inscription up to 6 lines, 20 characters/line. Contact the Foundation for logos/layout options. All pavers will be installed adjacent to the interpretive center, or another appropriate location. 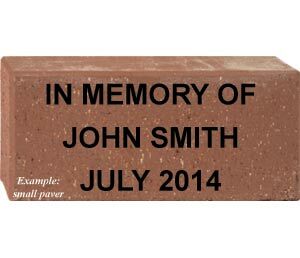 A Small paver for honoring or recognizing a special person. Paver is 5.5” x 8.25”. Inscription up to 4 lines, 14 characters/line. All pavers will be installed adjacent to the interpretive center, or another appropriate location. If you have a different idea about what you would like to do as a special donation to the Pavilion Activity Center Project, contact us via this form. 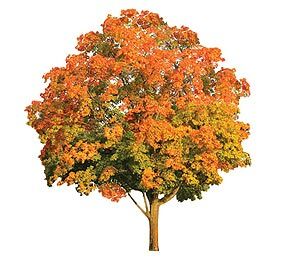 Your purchase of a recognition tree, bench or paver is 100% tax deductible!